Anthony Ferrato, the company’s marketing manager, says customers often call confused about what to order because there are so many choices. 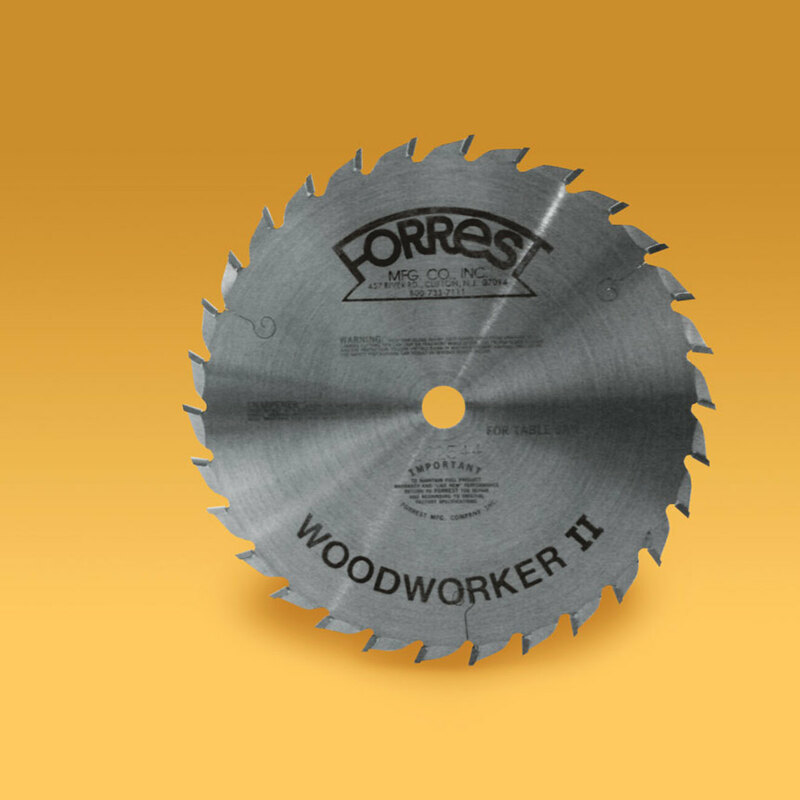 “The 20-tooth Woodworker II rip blade is designed for fast speed, aggressive cuts, leaving a straight clean cut that’s not sanded smooth,” Ferrato explains. 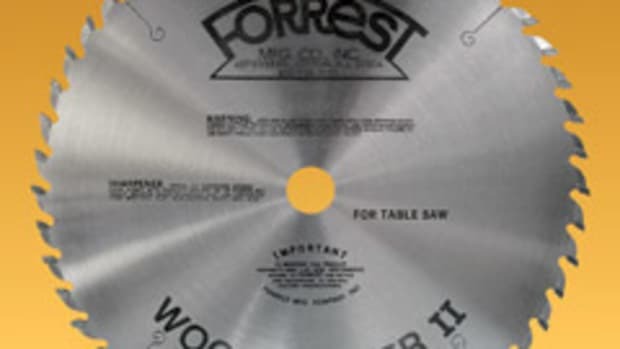 It is available in 10” and 12” diameters with standard 1/8” kerf and thin kerf options. 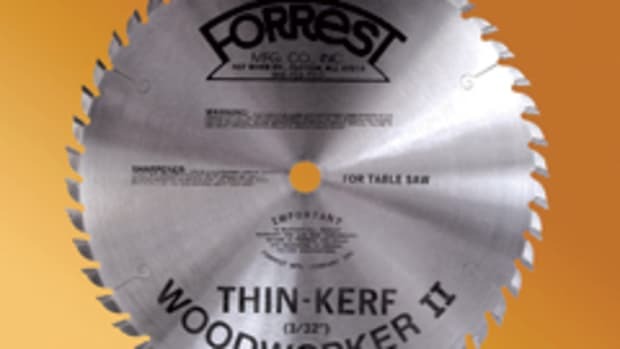 The standard 1/8” kerf 10” blade, WW10206125, sells for $105. Diameters range from 7-1/4” to 16”. The 10” 30-tooth model WW10307125 sells for $135. “The 40-tooth Woodworker II is our claim to fame. 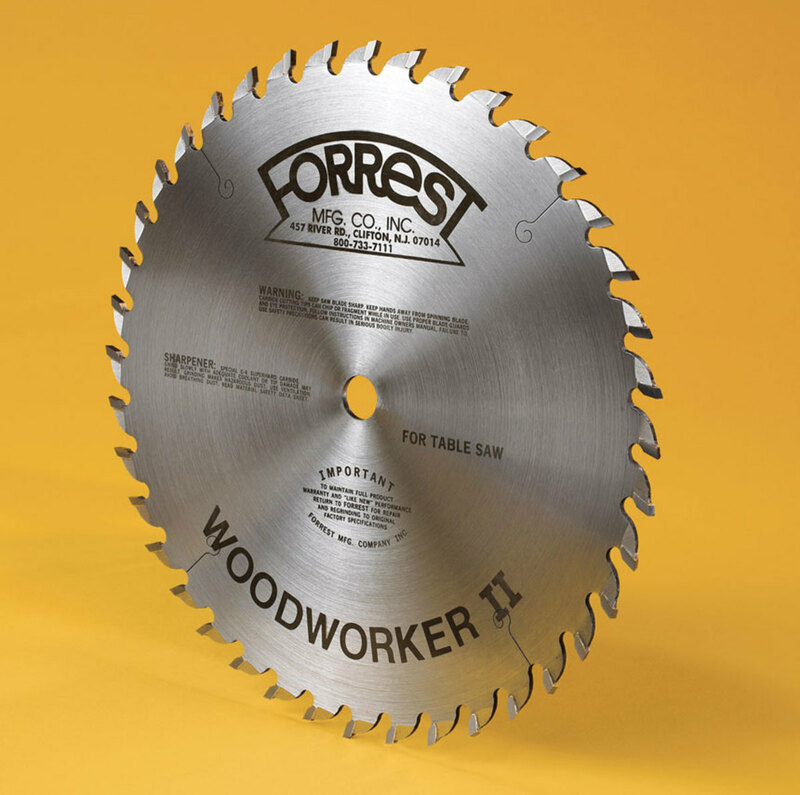 It’s a combination-style blade for ripping and crosscutting plywoods and solids, thin hardwoods and softwoods. 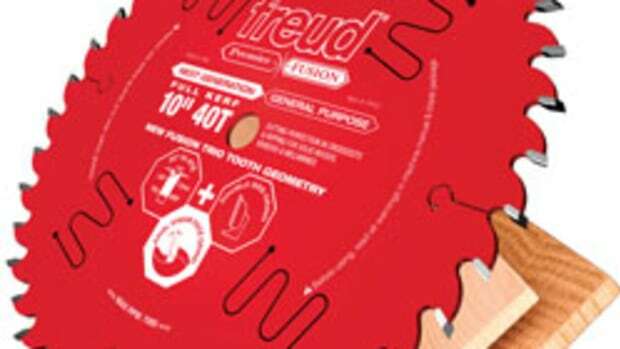 It’s a very versatile, general purpose blade for the table saw,” says Ferrato. Blade diameters range from 5-3/8” through 16” and the 40-tooth is available with standard, thin and ultra-thin kerfs. The 10” blade, WW10407125, sells for $155. 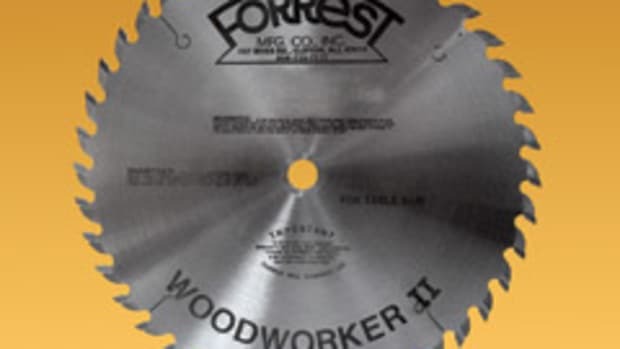 Forrest recently added the 48-tooth Woodworker II. “It’s very similar to the 40-tooth. 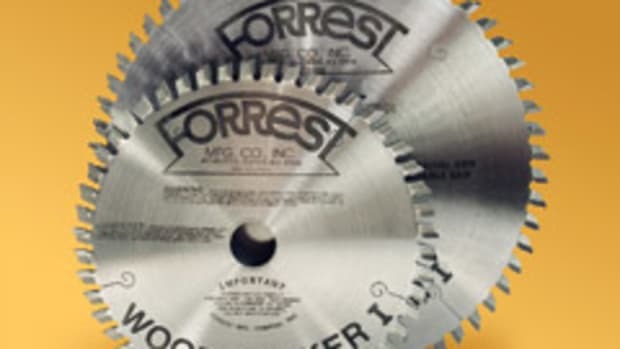 The only difference is it has 48 teeth and a 25-degree alternate top bevel which feeds easier, and it’s good with plywoods and veneers where you don’t have to go to an 80- or 60-tooth blade on a tablesaw application,” says Ferrato. 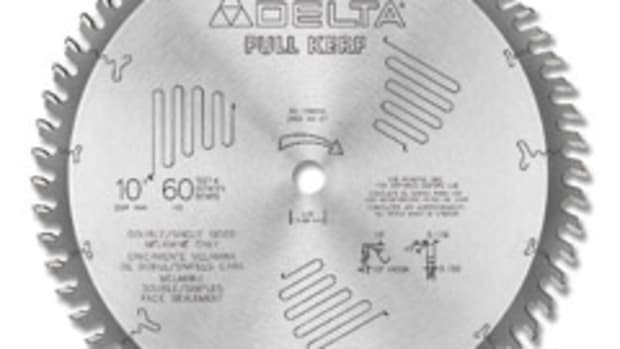 The 48-tooth blade is available in 10” and 12” diameters. The 10” model WW10487125 sells for $162. 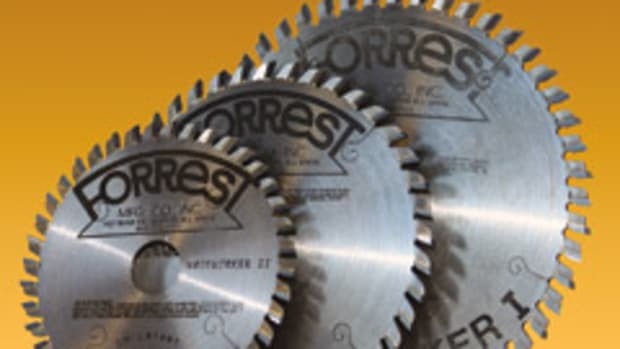 All Forrest blades are tipped with corrosion-resistant, double-hard, C-4 submicron carbide for sharper edges and longer life. 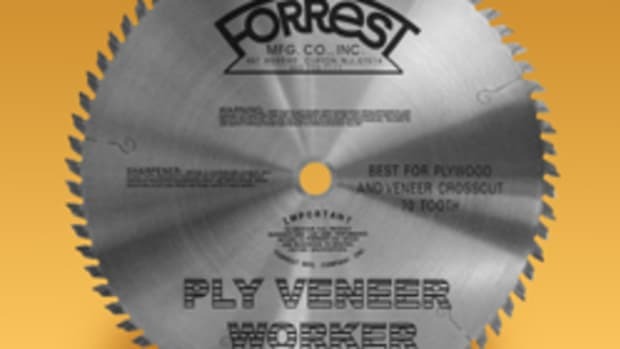 The blades are made in the U.S.A. and can be purchased directly from Forrest or through its authorized distributors.